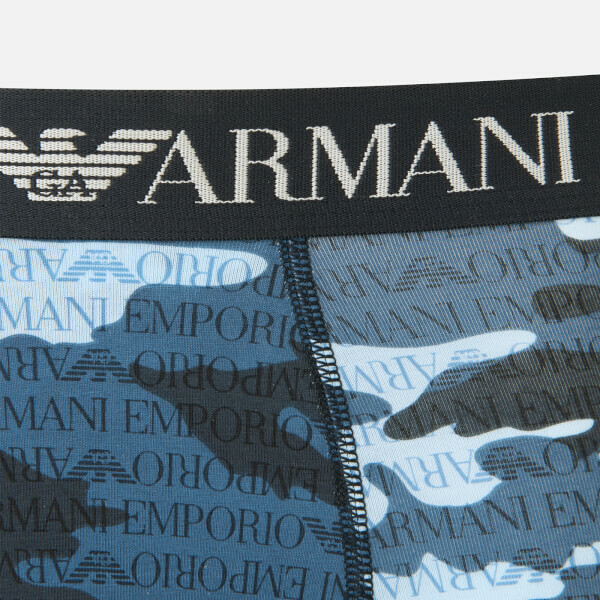 Blue camouflage print boxer shorts from Emporio Armani. Cut from stretch cotton for sublime comfort, the trunks boast a contoured pouch and an elasticated waistband with signature branding. Flatlock stitching throughout.